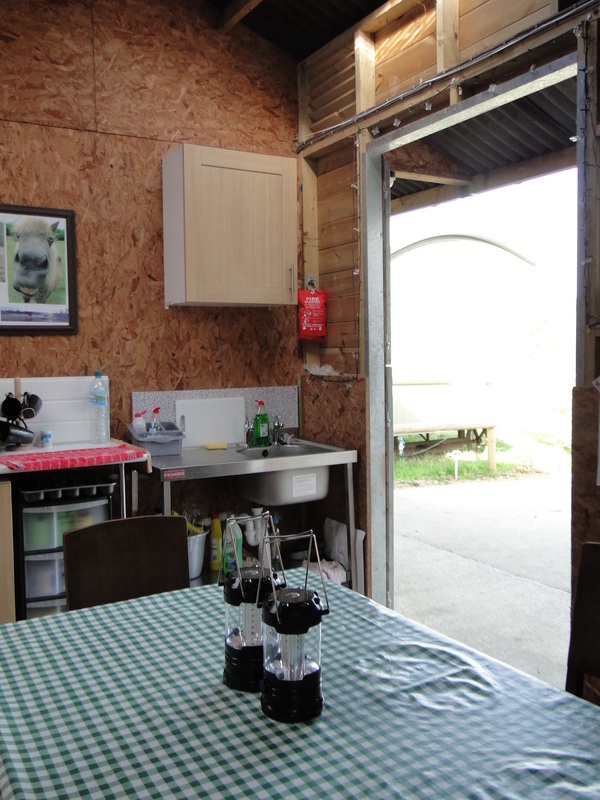 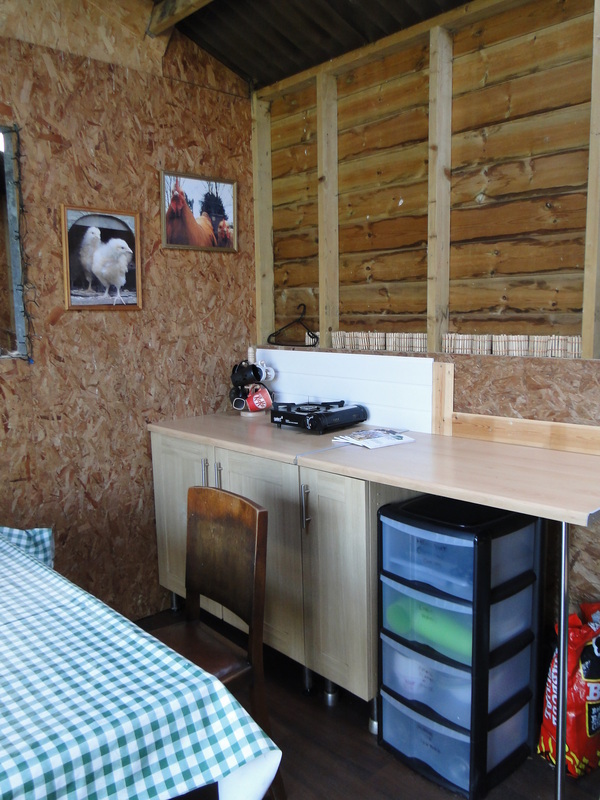 More kitchen pictures - DEVON YURTS Glamping in Style! 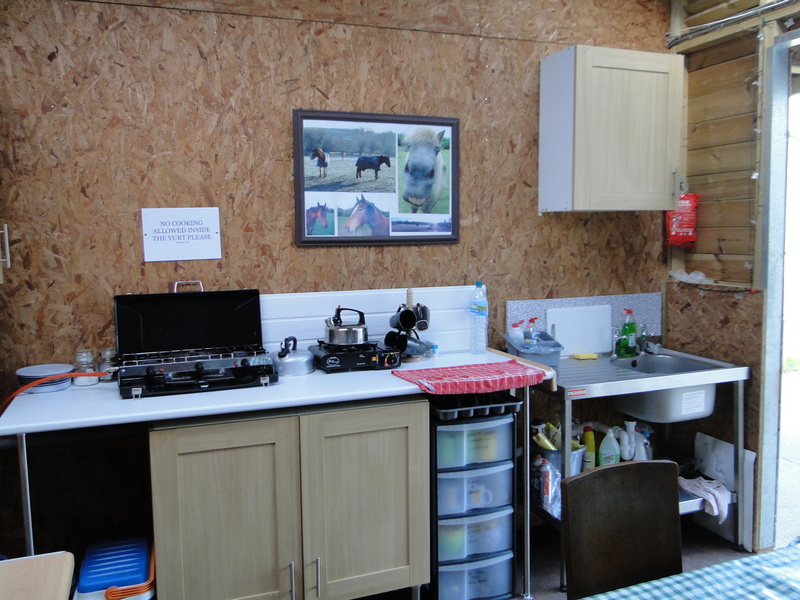 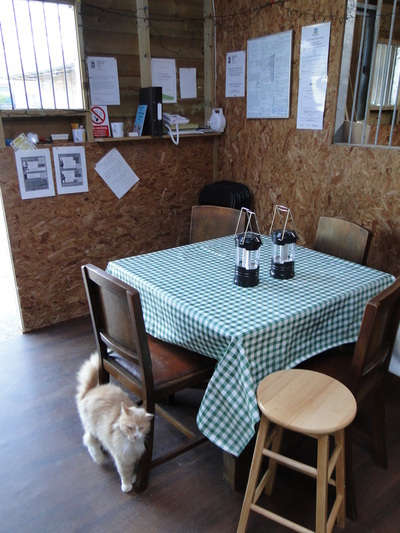 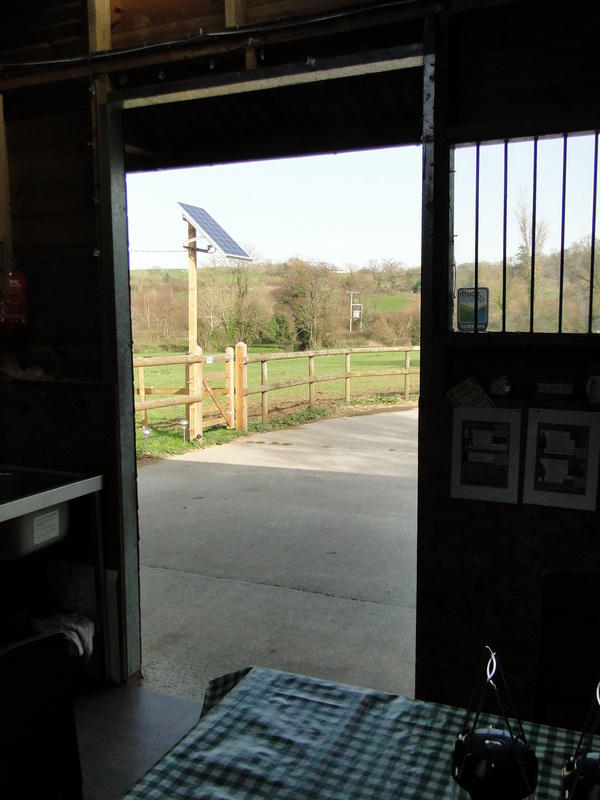 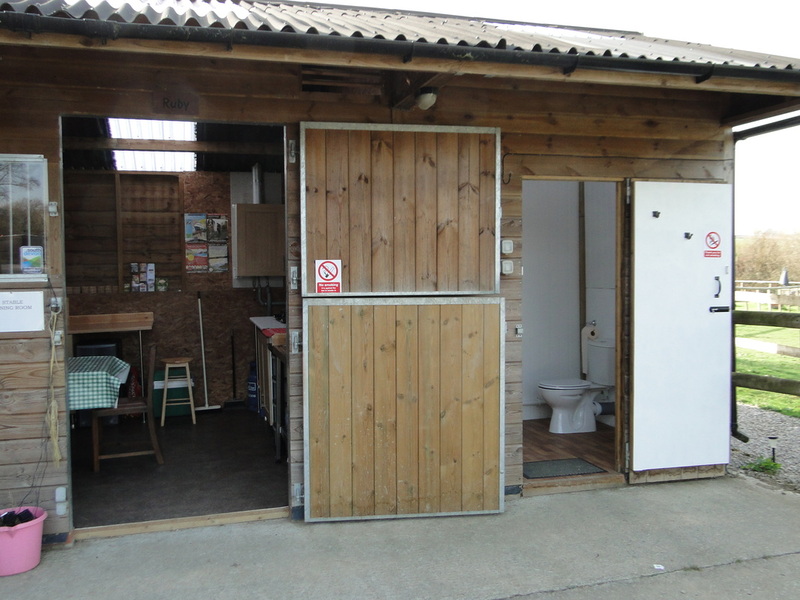 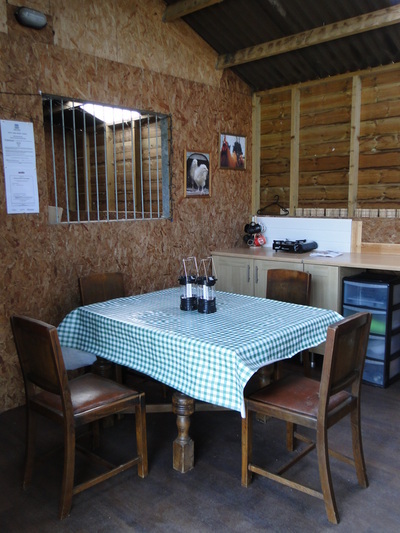 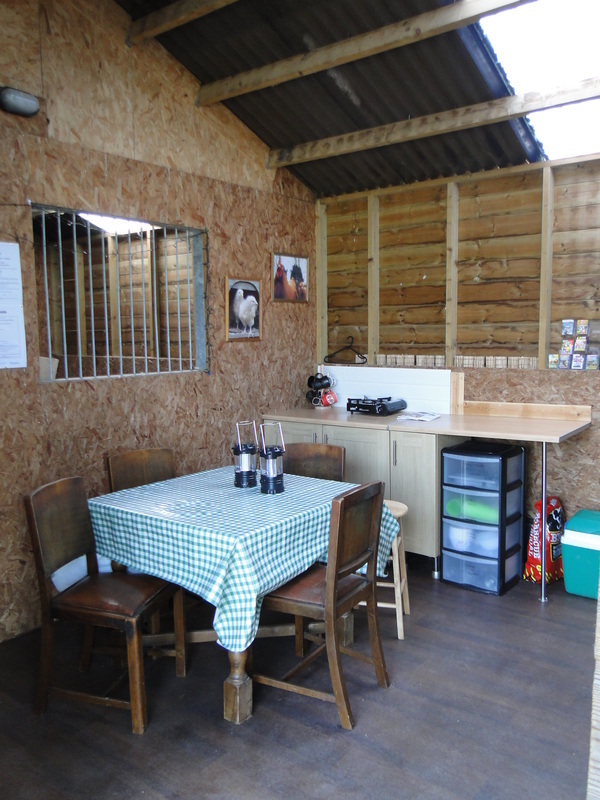 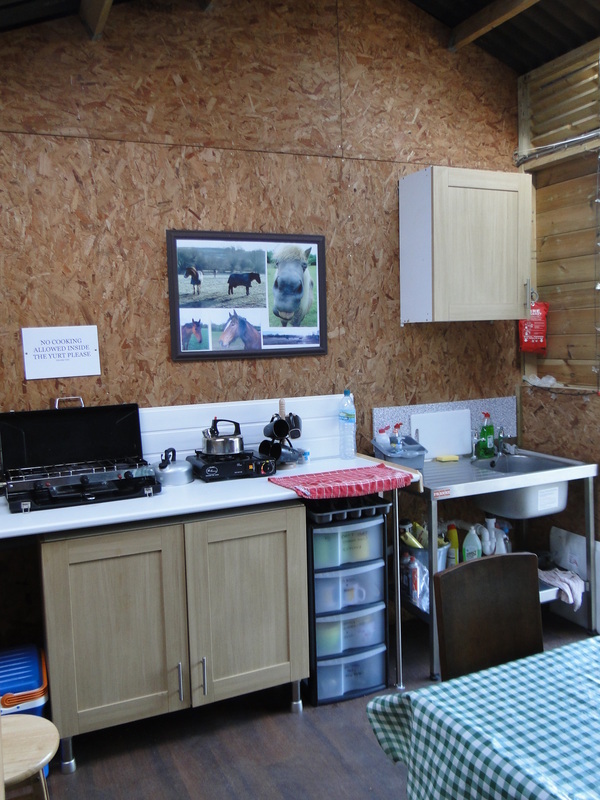 We have adapted one of our existing stables into a kitchen and dining area. With kitchen units, work surfaces, and washing up facilities with hot water. This gives our guests several options for catering. 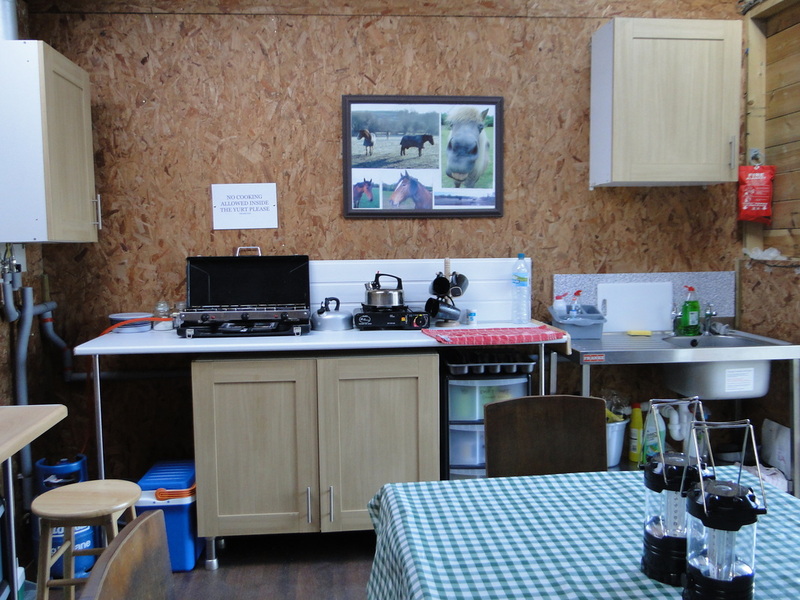 Alternatively guests are welcome to use the fire pits which are perfect for hot dogs, jacket potatoes or marshmallow toasting! 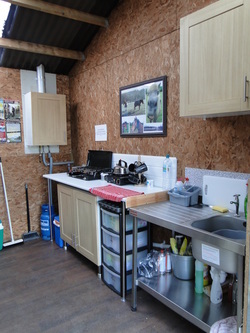 There is nothing like the taste of freshly toasted mallows warm and sticky from the fire, and the smell of wood smoke is gorgeous! 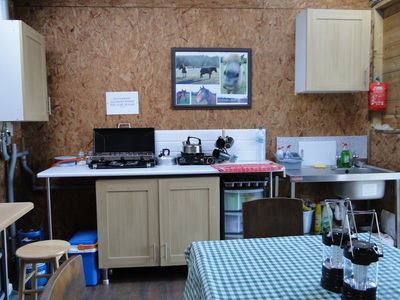 Guests are invited to bring charcoal for the fire pit, or to use disposable barbecues. 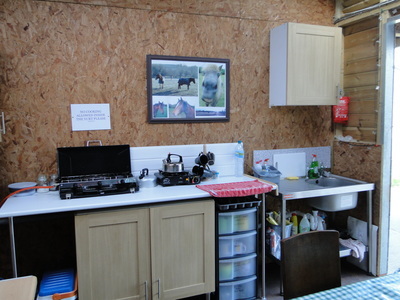 The dining room and kitchen area is lit by solar lights and has plenty of leaflets and tourist information about the surrounding area, and places of interest to visit. For safety and insurance reasons we are unable to permit any cooking to be undertaken inside the yurt.